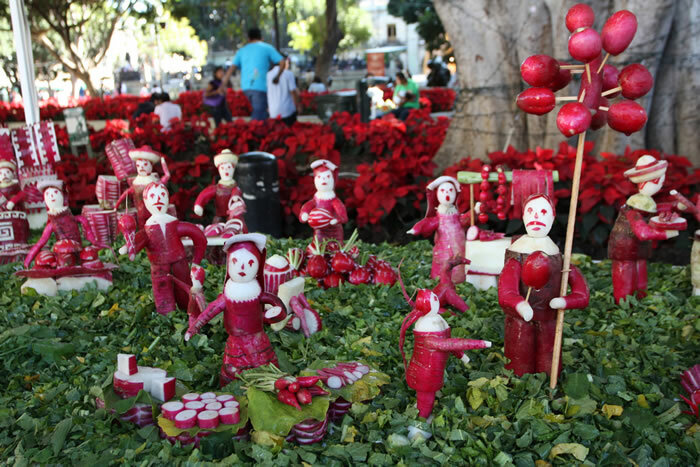 Noche de Rabanos (Night of the Radishes) is an annual festival held in Oxaca, Mexico each December. 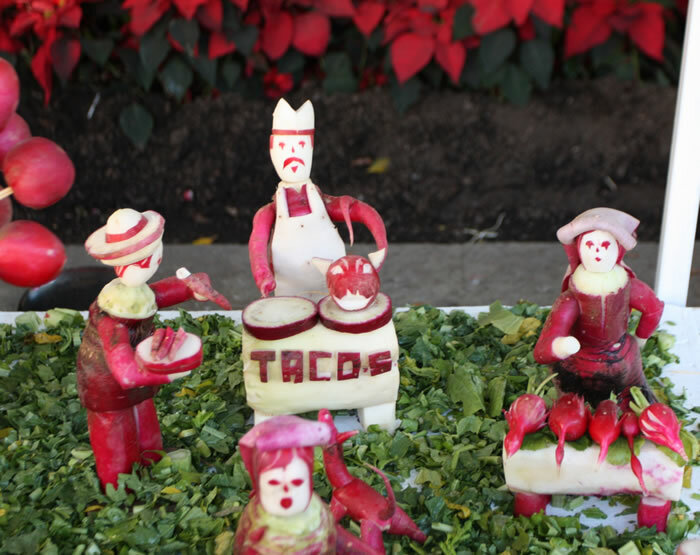 The vegetables are artfully and elaborately carved into scences depicting historical, religious and everyday urban spectacles. 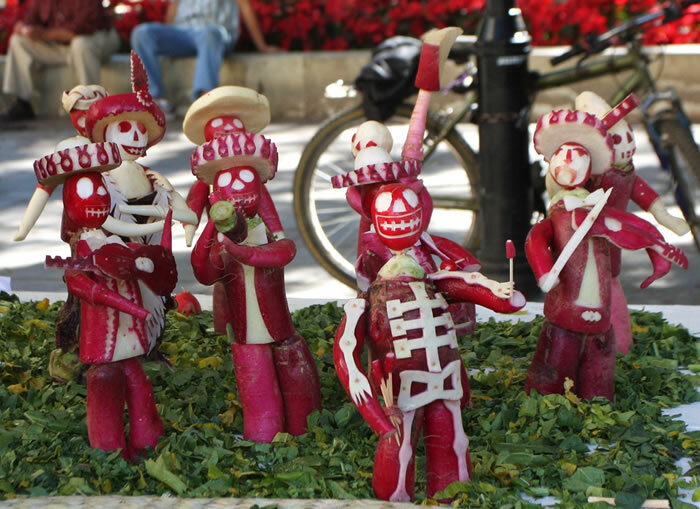 Tales describe the origins of the festival as dating back to the 16th century when the Spanish introduced Mexico to the radish. 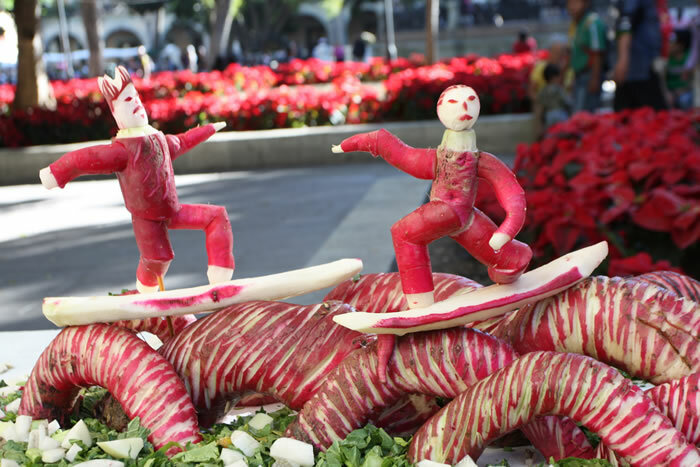 Encouraging farmers to cultivate and sell the introduced crop, Spanish friars suggested that farmers carve the red tubers to increase their appeal.